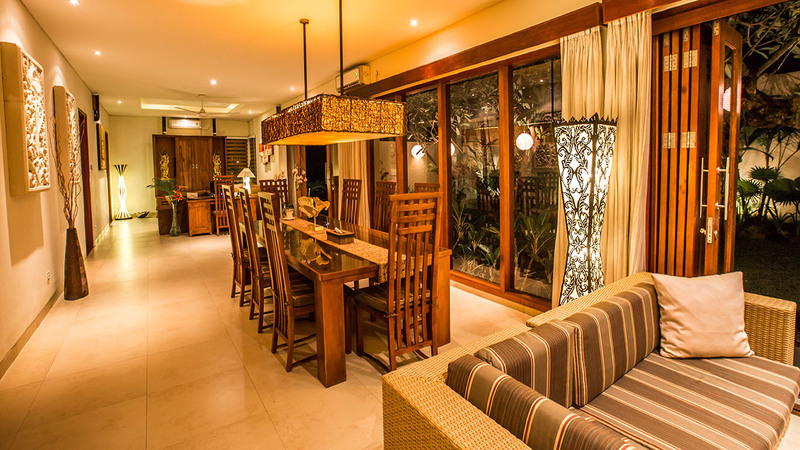 Sanur has a number of international standard restaurants and cafes located within a short distance of the villa. There is an assortment of excellent Western restaurants, such as Massimo’s; cafes, such as Batu Jimbar; and many beachfront Warungs (local cafes). A short drive takes our guests to some of the most renowned restaurants in Bali; such as Ku De Ta; La Lucciola; Gado-Gado; the Living Room and Sarong. A comprehensive “Bali Guide” is located in the villa which lists all the best restaurants in Bali. Our staff can assist with booking and transportation as required.